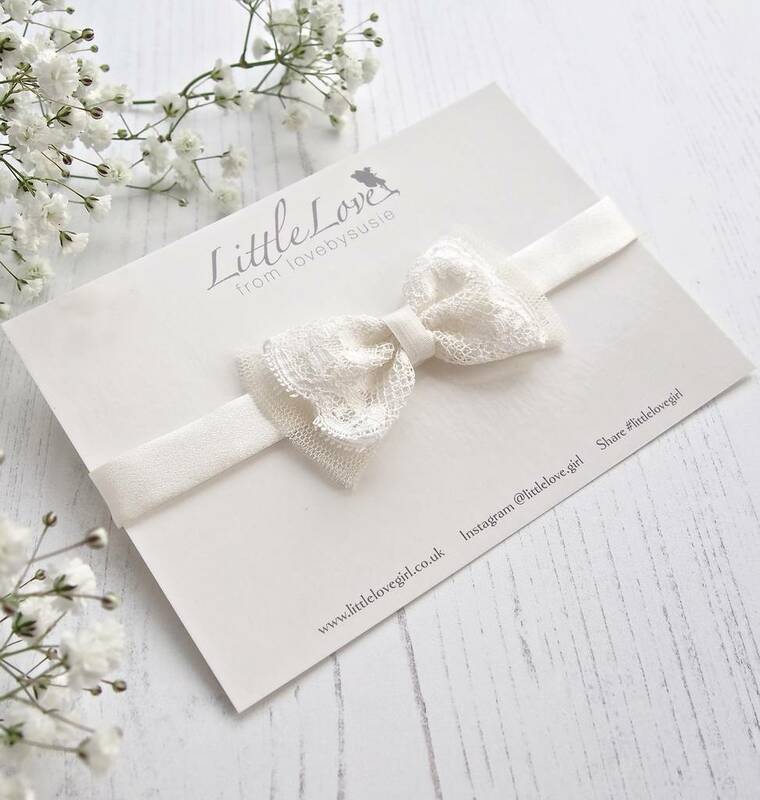 A silk satin and vintage lace bow headband for your flower girls and flower babies, weddings and christenings in ivory or pale pink. 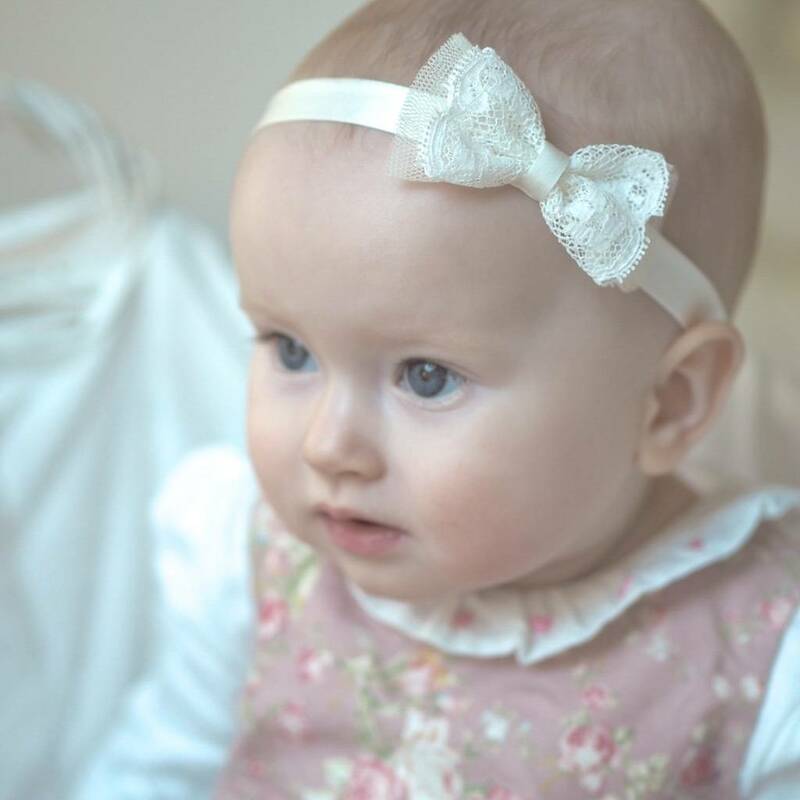 Luxury for little ones in this silk satin headband for girls, toddler and babies. 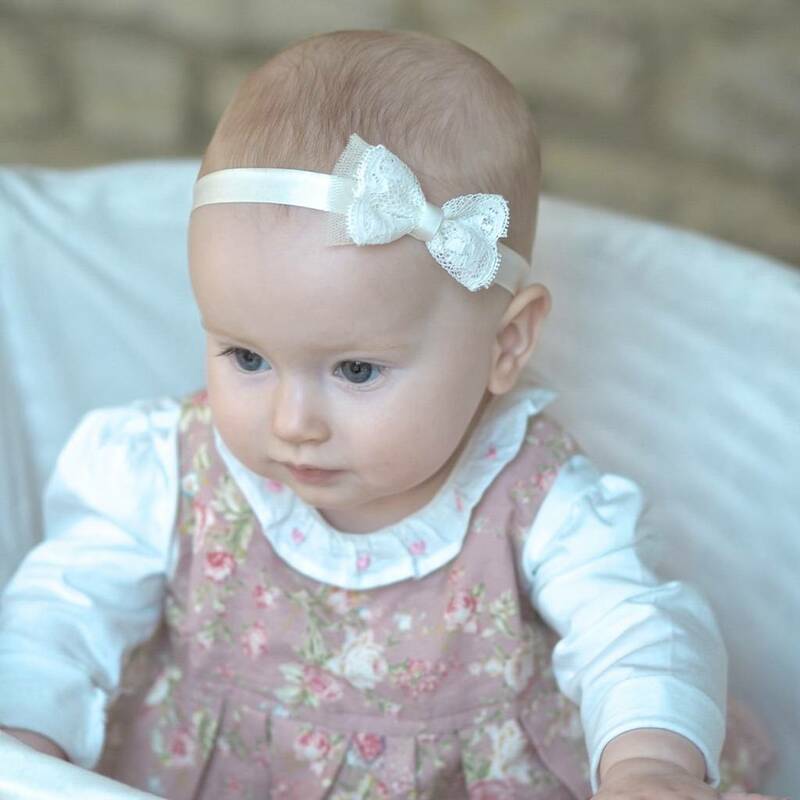 This silk and lace headband is beautiful for a wedding, for your flower girls and flower babies or also would suit a christening outfit perfectly. Headband is made from silk satin with internal elastic so only silk will touch skin. 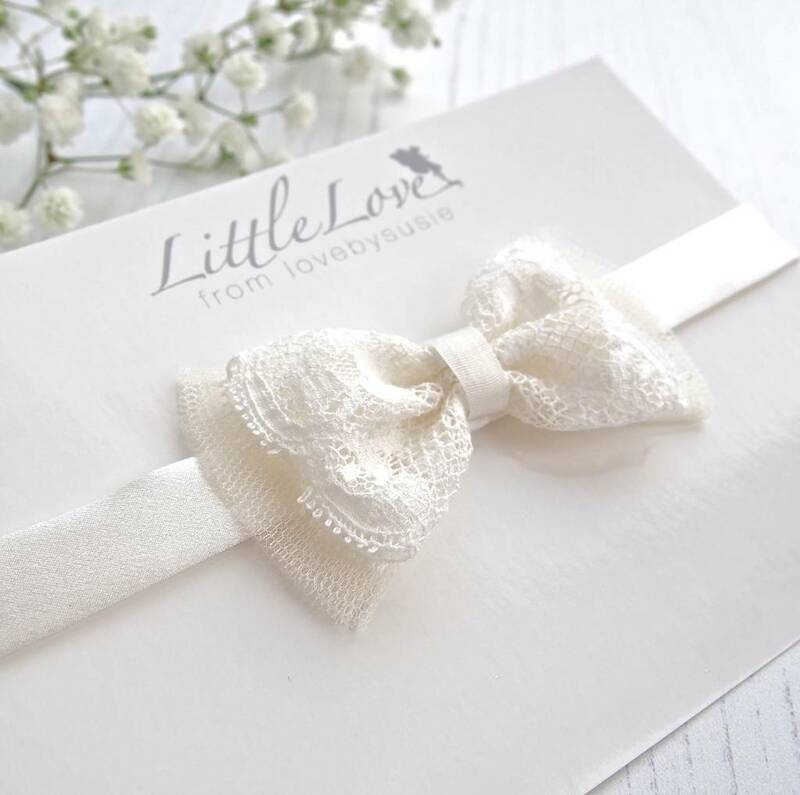 There is then a lovely Nottingham lace and silk tulle bow in ivory on the side. 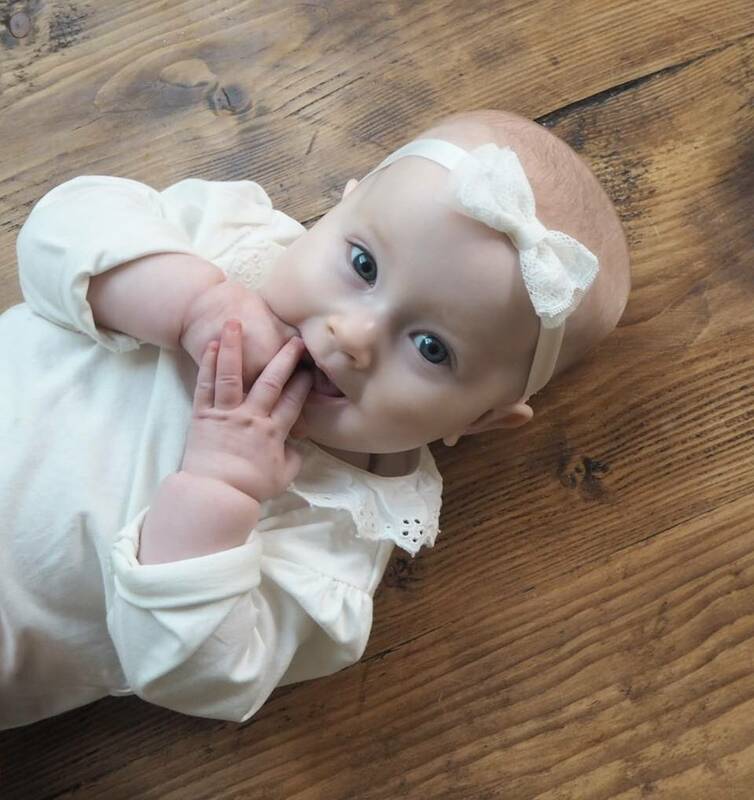 This headband is available with ivory silk satin band with ivory bow. or with pale pink silk satin band with ivory bow.or with silver silk satin band with ivory bow. Material: 100% silk satin with lace 95% cotton 5% nylon and silk tulle with internal soft plush elastic. 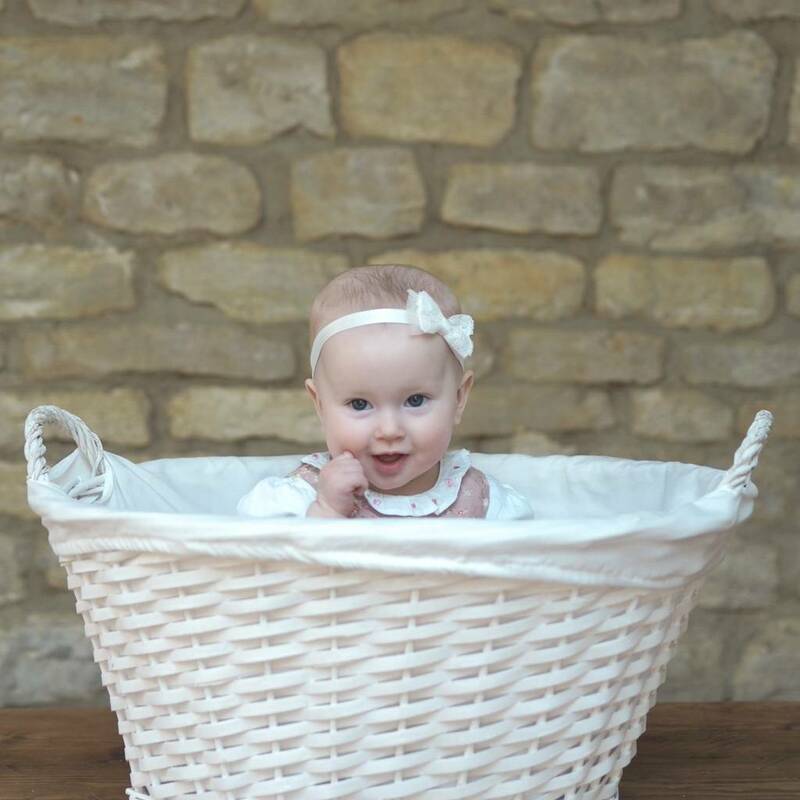 The beautiful vintage look lace we use is made by British company Cluny Lace, which was established in Nottingham in 1845 and is still produced using the same machines and techniques to this day. Cluny Lace also recently designed and made the exquisite lace used for Kate Middleton’s wedding dress.